Back to the DeLorean [Teaser] from Jordan Livingston on Vimeo. You have seen the pictures, now the story behind how it got made. I was never really a 'car guy', I know, funny that I work on cars all day. 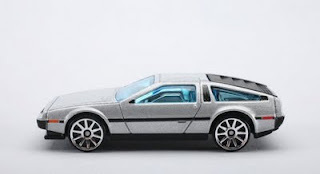 But, there is one car that I have always had an interest in...the DeLorean DMC-12. 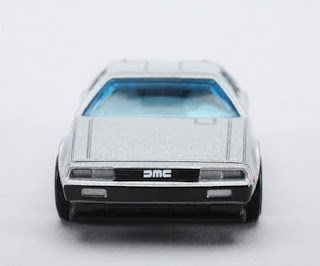 Through the years, I have collected various DeLoreans from toy cars, books, videos, limited edition items, Back to the Future stuff. 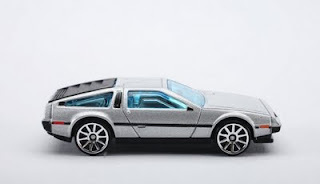 You name it, if it is a DeLorean product, I most likely have it. 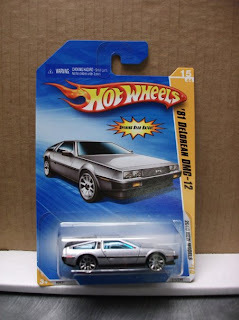 Back in 2001, I suggested the idea that Hot Wheels should do a DeLorean for the basic car line. Well, that never happened. Fast forward to 2007, I decided to take matters into my own hands. I decided to make one myself. If anything, at least I have a one of a kind DMC. At the time, I was working on a few cars for the 2008 Basic Car line. Working late hours, off the clock, I spent about forty hours (over the course of about a month) modeling the car. I worked off of my personal collection of pictures, drawings, books, and toy replicas. In December of 2007, I finished a solid model of the car. As far as I was concerned, it was dead on model. In February of 2008, I decided to take it a step further. I was going to split the solid model in preparation of production. 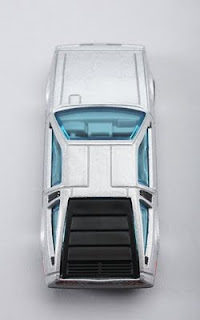 Hot Wheels cars are made of four to five pieces: body, glass, interior, chassis. This would required another thirty to forty hours, as I needed to do all the engineering. Again, all undercover. No one knew I was doing this. I finished the car, all parted out and ready for production, in March. At the time, I had already worked on about 40% of the 2009 line. So, they kinda owed my a favour. There was a competition to design a car for the 2009 line, this was the perfect time to show the team what I had done. 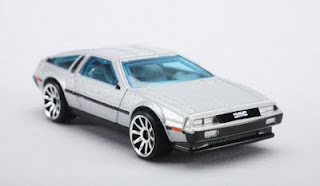 I gave them the model, a semi turnover package and basically said, "You guys will put the DeLorean in the Basic Car line, all you need is a license." The Jedi mind trick worked...okay, I begged like a kid in a toy store. They even gave me "designer" credit for the car. 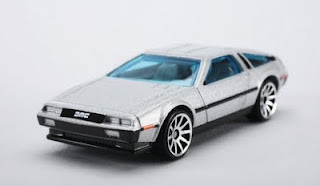 I also provided them with leads to get the license from DeLorean Motor Company in Humble, Texas. The license from DMC was acquired, model and paper work was turned over. By summer, I saw pre-production samples. In late November, it was shipped to stores across the world. 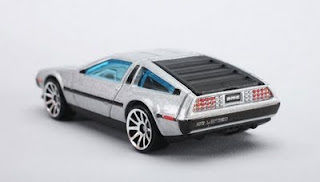 The DeLorean is officially part of the Hot Wheels line. I am proud to say that I was a huge part in bringing my favourite car to the line. I also had a lot of help from other designers, graphic designer, and licensing. 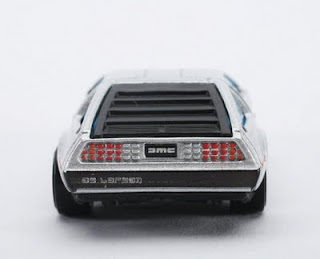 Oh, and thanks to Delorean Motor Company for approving everything. 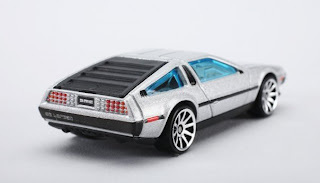 So now, I can add the Hot Wheels 1981 DeLorean DMC-12 to the collection.